Produce high-quality photographs and other images time and time again using the compatible OKI 4196360 multipack. The OKI 4196360 toner pack includes a black, cyan, magenta, and yellow OKI 4196360 toner. OKI 4196360 printer toner is very easy to use and is guaranteed reliable. Whether producing presentations or documents, the OKI 4196360 cartridge units will deliver high-quality prints. You can expect up to 15,000 pages (5% coverage) from all the OKI 4196360 toner cartridges, making it ideal for large office environment looking to decrease their printer downtime. 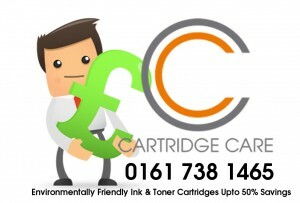 Purchase all of your printing needs here at Cartridge Care Manchester. The quality of our OKI 4196360 laser toner is guaranteed by a 30-day money-back guarantee. Cartridge Care also offers free delivery for the OKI 4196360 pack. Order now and expect the OKI 4196360 cartridge pack to arrive at your door the next business day. All major credit cards are accepted for the Sign up for a customer or business account for easier transactions to restock on OKI 41963608, 41963607, 41963606, 41963605 printer cartridges and other printer products. This entry was tagged 41963605, 41963605 Manchester, 41963606, 41963606 Manchester, 41963607, 41963607 Manchester, 41963608, 41963608 Manchester, Compatible Refill Oki C9300 Toner Cartridges Manchester, Compatible Refill Oki C9500 Toner Cartridges Manchester, Oki C9300 toner cartridges Manchester, Oki C9500 toner cartridges Manchester, OKI Ink Cartridges Manchester, Oki Printer cartridges Manchester, Oki Toner Cartridges Manchester, Refill OKI C9300 Toner Cartridges Manchester. Bookmark the permalink.